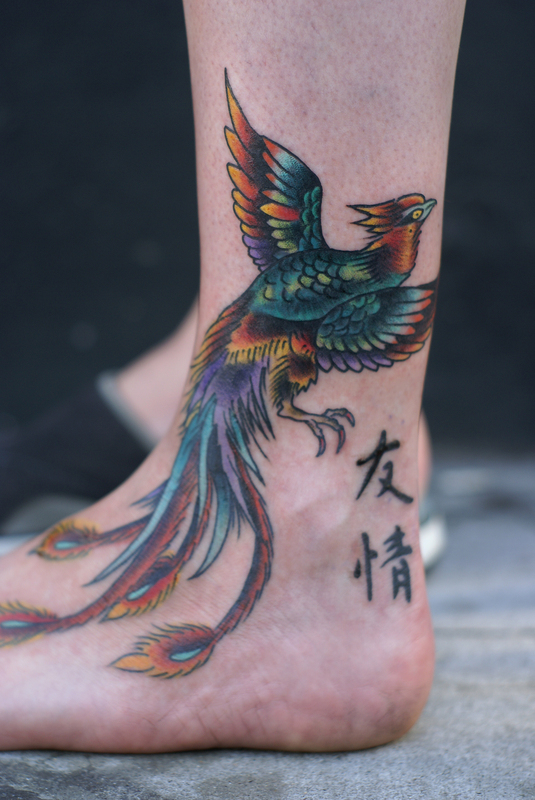 New phoenix foot tattoo by Tom Landon. 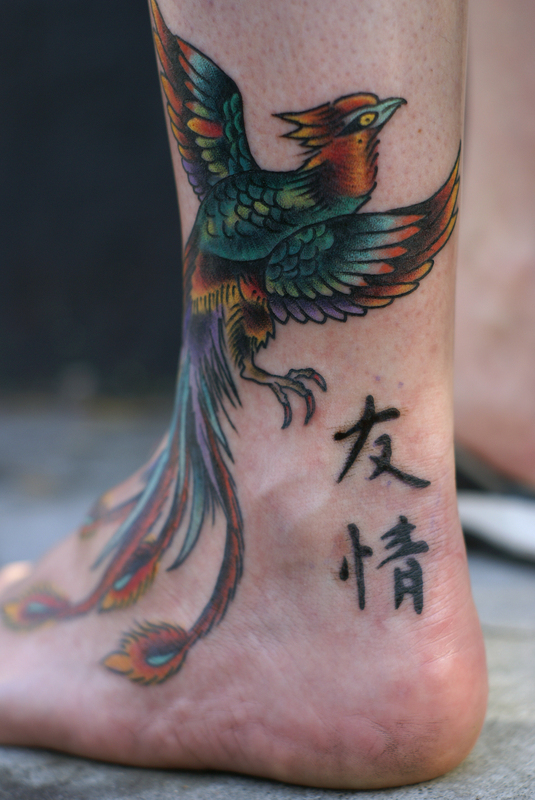 This was a cover up. 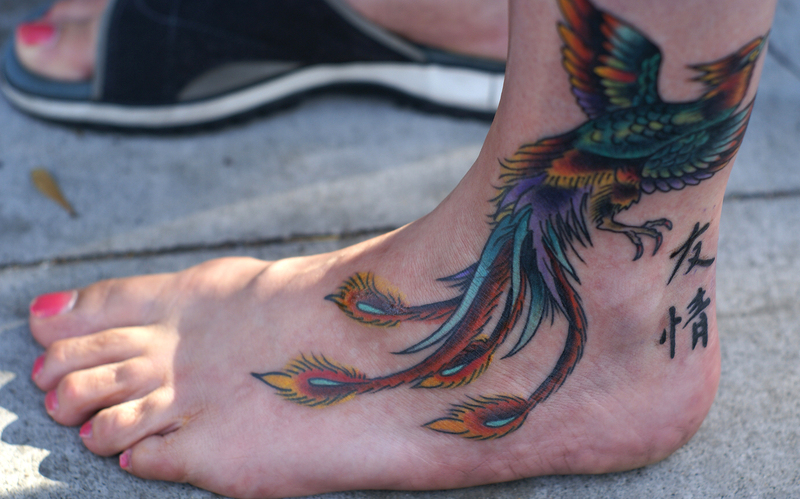 The old tattoo is now hidden beneath the body and wing.